If you're looking to bag a bargain deal on a fitness tracker or smartwatch this Cyber Monday, this is the ultimate list for you. While Black Friday weekend is over, there are still deals going live, which represent a great chance for you to bag a wearable tech bargain. We've been keeping tabs on the hottest deals out there on the brands and devices we recommend. Amazon is once again leading the way, with deals landing from the likes of Currys PC World, Argos and John Lewis in the UK. For those in the US, Best Buy and Target will both be offering deals in store and online. But which deals are already available and which are upcoming? Well, read on below for everything you need to know. If you're not tempted by our editors picks of the best fitness tracker and smartwatch deals, check out the full listing below. We'll keep them updated as the weekend goes along. Let's start with the big one, the Apple Watch. While the Cupertino company itself doesn't really get on board with the wild deals and start handing out Apple Watches free with every MacBook or iPhone purchase, that doesn't mean other retailers aren't partial to a clear-out. Below are the best deals available right now, as well as some landing soon. Elsewhere, Target has announced that it will offer the Apple Watch Series 1 for $179 (a saving of $70 compared to its current pricing) when it begins its sales on 24 November. Macy's, whose sales will begin a day earlier, will also be offering both the 38mm and 42mm Series 1 at a $70 discount. That's all the deals available so far, but Amazon UK will be vying for your cash from 17-26 November, and we also expect Tesco to roll out its week-long festivities from 20 November, so stay tuned for more. With the company finally releasing the Fitbit Ionic in October, its trackers are in line for some cuts on Cyber Monday. We've detailed just when and where you can pick up a Fitbit bargain. Target is selling the Fitbit Alta HR and Charge 2 for $99.95 and the Fitbit Blaze for $149.95, meaning punters can save $50 on each device. And the same deals are going on over at Target too. Interestingly, Samsung itself has undercut the Cyber Monday market and offered pretty much its entire wearable range at a generous discount. However, though largely unannounced, we also expect a number of retailers to get in on the action. Here's the best deals available right now. There's now an army of smartwatches packing Google's operating system, so check on below for the current and upcoming deals for Android Wear smartwatches. 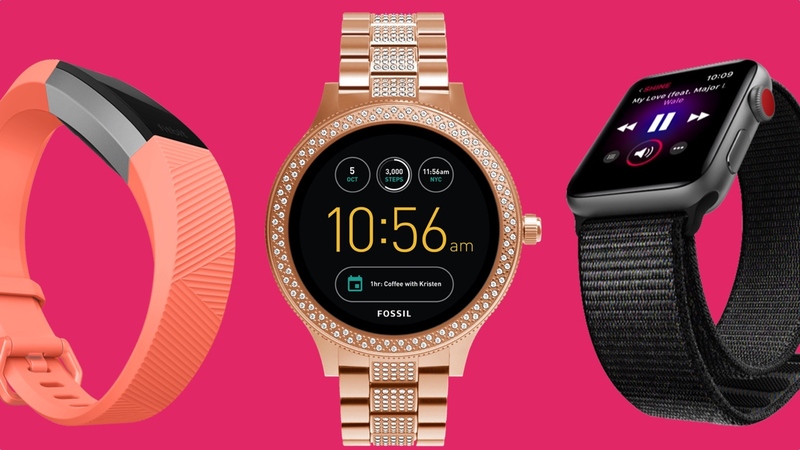 There's a bunch of great deals out there on Fossil smartwatches – with some really worth getting excited over. With Garmin possessing such an extensive crop of smartwatches and fitness trackers, there's bound to be a bargain for you this Cyber Monday. Here's what we've managed to find. With the Oculus Rift and HTC Vive already receiving some fairly major permanent price cuts this year, it's fair to say those looking to pick up either of the high-end headsets are operating from a solid standpoint. However, like in the sections above, we've listed the deals any current or impending deals below, and will update when more are announced.